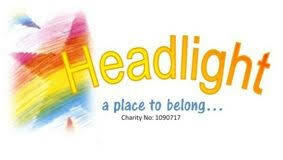 Sunderland Headlight is a small mental health charity based in Sunderland and we are in the process of securing a tenancy. We needed a Schedule of Condition completed and were at a loss as to who to contact. Simpson Property Consultants were recommended to us. 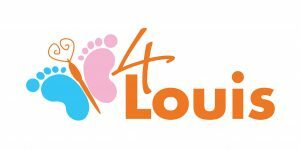 They understood the fact that we are small charity and the level of support received was very much appreciated. I would like to take this opportunity to thank Simpson Property Consultants for their excellent customer service and for going the extra mile for the charity. I would highly recommend them to others. We would like to thank Simpson Property Consultants in particular Marc and Kelly who looked after our recent move to our new unit. Very professional in their approach and delivery of their service. The after service has been nothing short of excellent and would have no problem in recommending Simpson Property Consultants. Sunderland Conservative Party used Simpson’s to oversee the schedule of works and reinstatement of our property after a serious fire. They also acted as our link with the Loss adjusters and made the whole business a lot easier than if we had attempted to complete the work ourselves. Their in depth knowledge of the reinstatement issues and legislation requirements were impressive. Marc Simpson who managed the project had regular meetings with ourselves and the contractors and ensured we were informed of all issues at every stage of the reinstatement. Simpson’s also ensured the Loss adjuster and Insurance Company fulfilled their obligations to us as policy holders and ensured we received the maximum payout towards the cost of the works. I would not hesitate using Simpson’s again and we will be instructing them in the future regarding carrying out property reinstatement valuations and dilapidation assessments. It’s their experience gained through many years of professional consultancy that sets SPC Ltd apart from the rest. Both knowledgeable and practical and always with the best interests of their clients at heart, they deliver an excellent service that I have always been very pleased with. I cannot recommend Jason Carr and Simpson Property Consultants strongly enough for their sustained work in providing full building surveying services to UK Land Estates. Scope regularly covers dilapidations, defects, minor and more significant works and one-off items. The results are critically important, and output is always detailed and thorough but to the point and commercially minded. We employed the services of Simpson Property Consultants to undertake some dilapidation work for us recently, the process was completed with minimal fuss, to a tight timescale and with a highly satisfactory outcome. We have been so impressed with the work, that we have asked Marc Simpson to provide further advice across our entire mixed use portfolio and also to offer project management services on a number of large scale development projects we are currently working on. Marc and his team are professional from start to finish. The level of knowledge in their areas of specialism is second to none. We have no hesitation in recommending them to our clients as we know they will give the same level of skill, care and attention which we pride ourselves in. Marc has undertaken a variety of work on behalf of our clients from Insurance Valuations to Schedules of Condition, Dilapidations negotiations and Building Surveyors and feedback has been consistently good. In short we have no hesitation in recommending them.